The Japanese city of Hiroshima is all set to host a very special ANZAC Day Australian Rules football event. In a year which sees the 100th anniversary of the Gallipoli landing and associated commemorations, the Hiroshima tournament will add yet another international dimension to a worldwide recognition of those who gave their lives in battle. 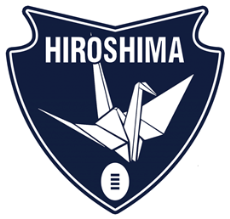 The Hiroshima Cranes are keen to further establish the game in western Japan and have an affinity with the hardships and atrocities of war. “The Hiroshima Cranes Australian Football Club is an Australian Football team that was established in the city of Hiroshima in 2014. The club was established through the support of the international football community as well as passionate expatriates who have a keen interest in promoting Australian sporting culture to the people of Hiroshima.